Happy Father’s Day! Celebrate this special day by promoting it with this unique, clean flyer! 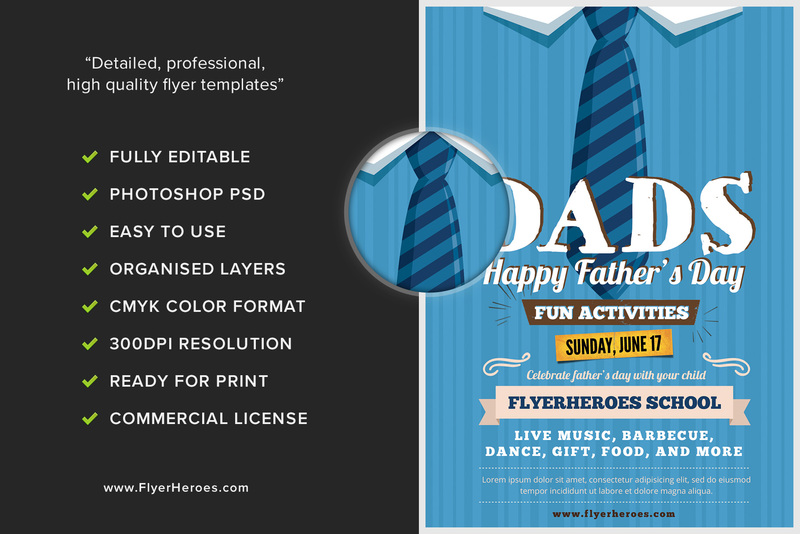 This flyer features a unique design geared towards Dad. It displays a clean, blue background of a dress shirt and tie. 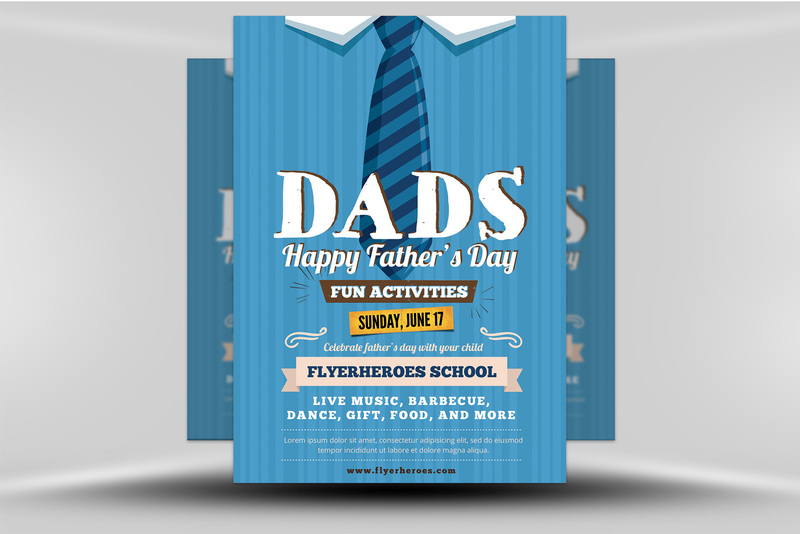 The white text to blue background creates the perfect contrast and allows your event information to easily be read. 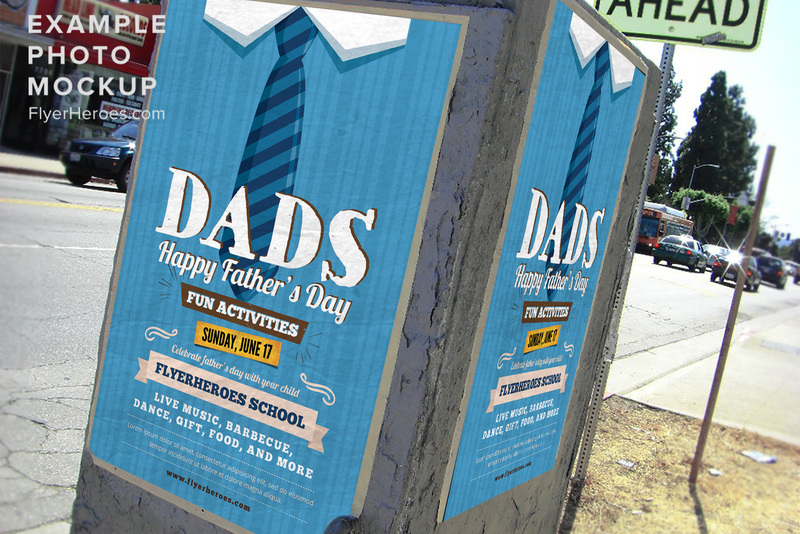 A variety of fonts, styles, and sizes are used to draw attention to the most important information about your event first. 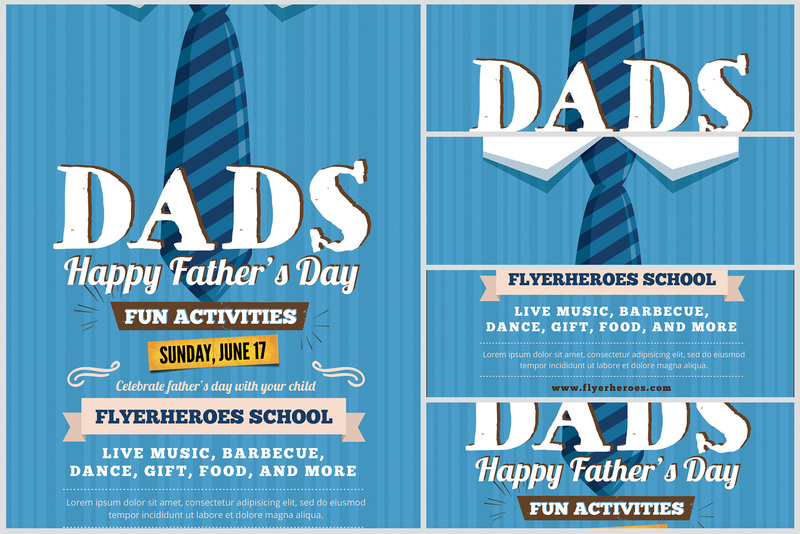 Use this flyer to promote a special Father’s Day event for Dad and his child! Thank you for purchasing this item and supporting FlyerHeroes.